To tell you the truth, I totally spaced on my leftover Hawaii pictures! So glad I remembered these as it was one of our best days there! 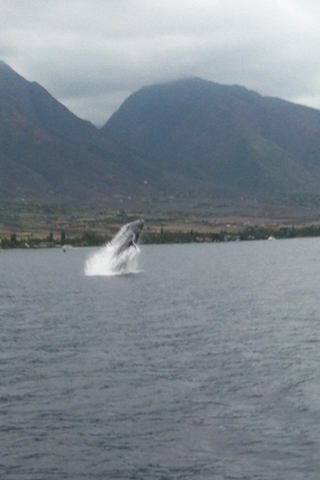 While in Hawaii, we saw a ton of Humpback Whales. It was probably one of the most amazing things I have ever seen. Everywhere you looked, they were jumping out of the water or splashing around, and I could have sat for hours just waiting and watching for them. Since taking Marine Biology in high school, I kind of have an obsession with sea life, whales in particular, so I was ridiculously excited. They are amazing, gigantic, beautiful and majestic creatures and seeing them in the wild is really awe-inspiring. Yeah, I’m a nerd:) My family decided that we wanted to get up close and personal and went on a little whale watching excursion. 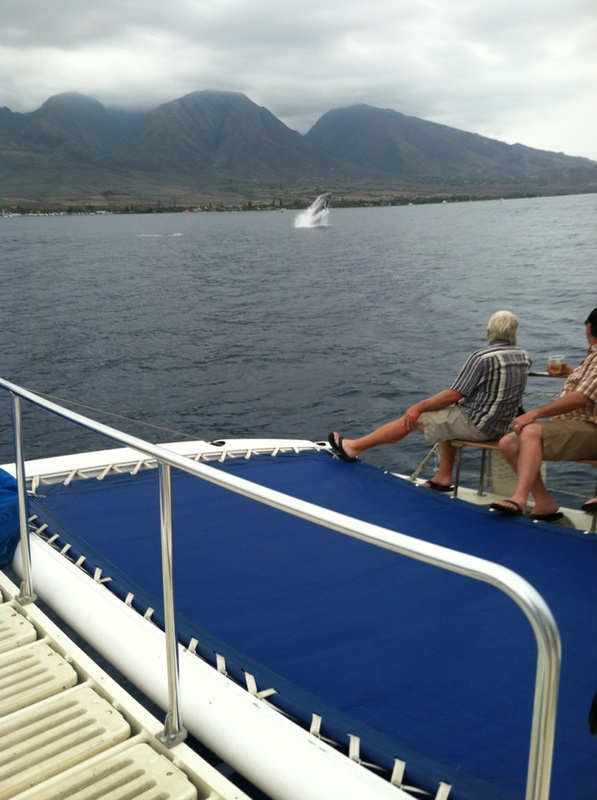 We saw a ton of whales, but getting pictures was a little tricky. I’ve included a few below, but they aren’t the best quality. Honestly though, pictures don’t do it justice. To sum it up…whales are AMAZING! It was a pretty hot and muggy day, so I opted to wear a lightweight southwestern printed romper. I purchased this romper over 2 years ago and it remains one of my favorite pieces. So wishing I would have bought the other color! I put on a pretty beaded necklace, sandals, and a fedora to keep my hair in control during my whale watching adventure. Mama and Baby – saying hello! So much closer than appears…amazingggg. Mom, sissy and I watching for our friends…the whales. you are SO pretty! love this simple look. You're so tan! I'm in need of a nice vacation haha love the romper! First off, I absolutely LOVE the romper. They're one of my favorite things to wear in the summer (although they are a pain if you have to pee haha). Second, I've ALWAYS wanted to go whale watching. I have a feeling it'd just be mind blowing to see in person! 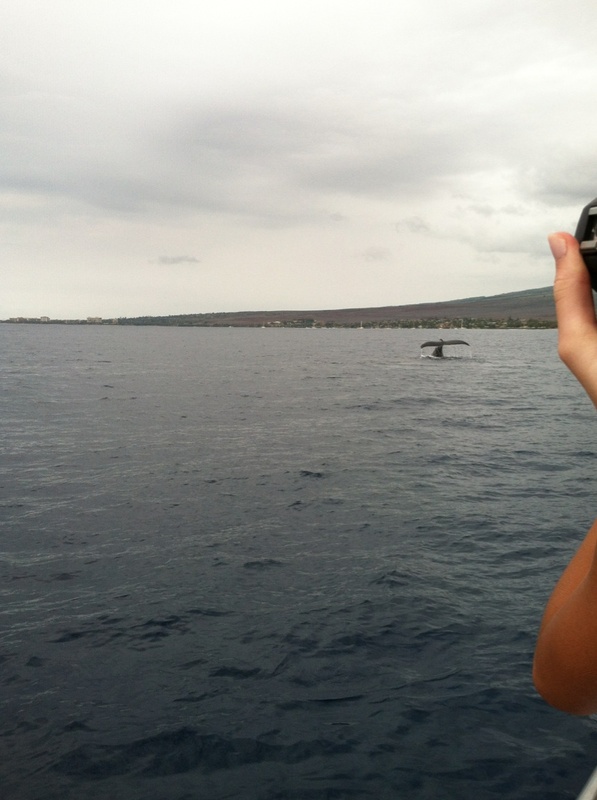 Oh man, Ashley, that's so awesome that you were able to see whales! I can only imagine how awe-inspiring that'd be. And they're so huuuuuge! 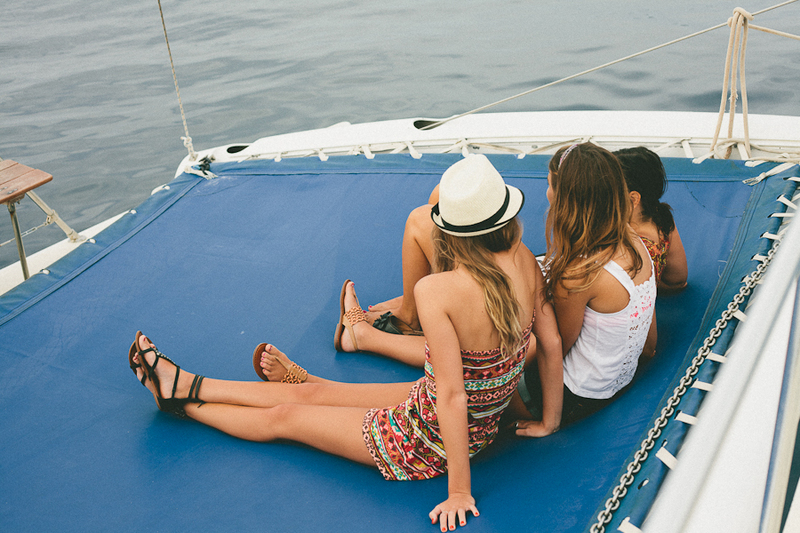 And the romper is so cute on you–and I bet it was comfy all day long and nice to wear on a boat so you didn't flash anyone (were it a dress!). 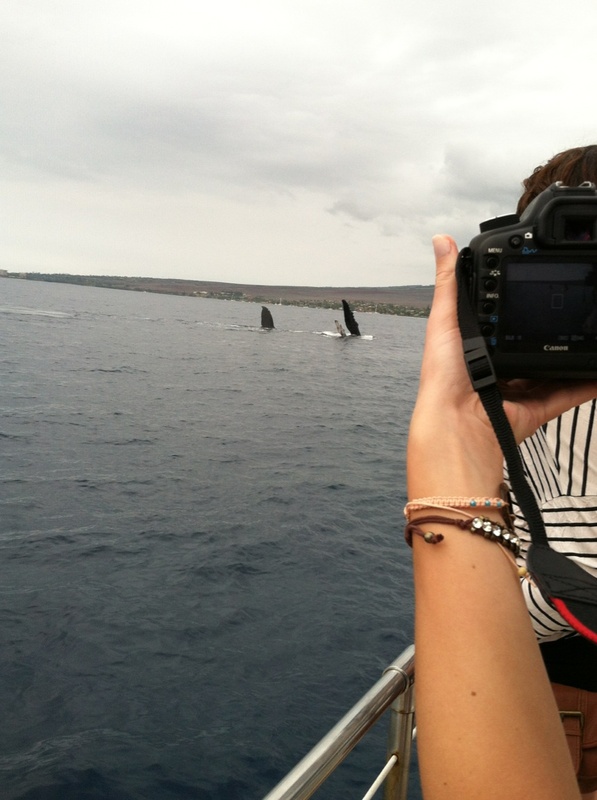 Okay, whale watching is up there on my list of things to do! It looks SO COOL!! And that romper is freaking adorable- as are you! That is so incredible! You got to do whale watching? That is so on my list of things to do. Ahhh, so cool! Haha, and I bet, you just can't capture that sort of thing on camera and compare it to the experience. Love the adorable romper, the tribal print is so fun and summery. LOVE your romper! and so jealous! looks like fun! Amazing romper. I love the patterns. And great pictures too. Love this romper – the print is amazing! What a great activity, I'd love to see some whales up close and personal! love your playsuit and it looks like you're having such a fabulous time! I did this as a kid…and I was a little bit scared :S Great pics! I really enjoyed reading your article. I found this as an informative and interesting post, so I think it is very useful and knowledgeable. Independent Escorts Delhi I would like to thank you for the effort you have made in writing this article.